loving. living. small. 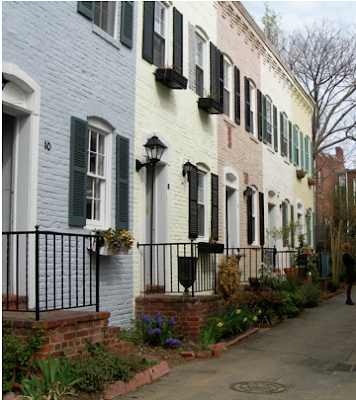 | live small with style: DESIGN INSPIRATION: Georgetown, D.C. 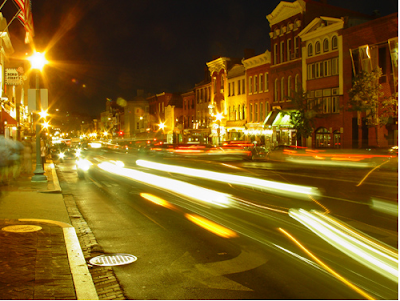 I grew up in Maryland and also lived in Georgetown just 2 years ago. I l-o-v-e that city! So pretty with the rowhouses (simply gorgeous), cobblestone streets and a canal through the city. Georgetown is colorful and has stunning architecture. It's bustling with boutiques - like the hip design district Cady's Alley, tasty restaurants and historical statements - like Old Stone House (bottom pic). 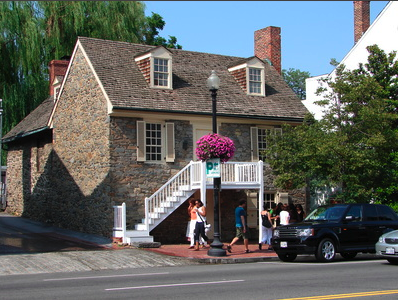 Built in 1765, this is the oldest home in the city and still standing on Wisconsin Avenue. And a charming small space at that! 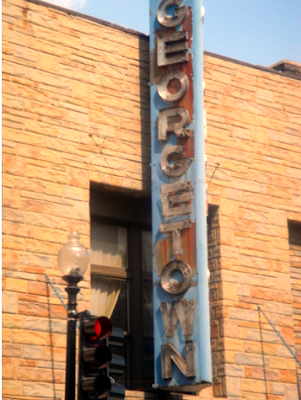 0 Responses to "DESIGN INSPIRATION: Georgetown, D.C."